When the Sterling B2B Integrator 5.2.5 was released recently, I decided to build myself a new Demo Environment to play around with. And when doing so, I thought I might document the process. My plan is to set up a more or less complete environment with a cluster to allow load balancing and fail-over. So to be able to run such a solution on a standard laptop, it is important to create it with a small footprint since it will be multiple servers needed for this complete solution. I will document the process in several blog entries throughout the installation of the different parts. This first blog will cover the installation of the Database Server. In a standard Demo Environment the Database is often installed on the same server as the Sterling B2B Integrator itself since that is practical. But since my plan is to grow this environment, I will install a shared Database on a separate server. This server will also be used as Mail-server and as a Shared File Server for the Sterling B2B Integrator Nodes installed later on. I use PuTTY to run SSH to the installed server. And for simplicity I use WinSCP to upload installation files to the server. Java is needed, and as a good IBM’er, I use the IBM Java 7. It can be downloaded at the developerWorks site (login with IBM ID needed). I use IBM DB2 as the Database (off course), but it is also possible to use Oracle, MSSQL, MySQL etc. The DB2 Install is Wizard Based, and since I use a CentOS Minimal Install, without graphical UI, that creates a small challenge. To enable graphical UI on a server without GUI, I have chosen to install Xming X Server for Windows and Xming Fonts on my laptop. This will enable running Graphical UI’s through PuTTY. X11 forwarding must be enabled in PuTTY. Furthermore X11 Forwarding must be enabled on the Server-Side. 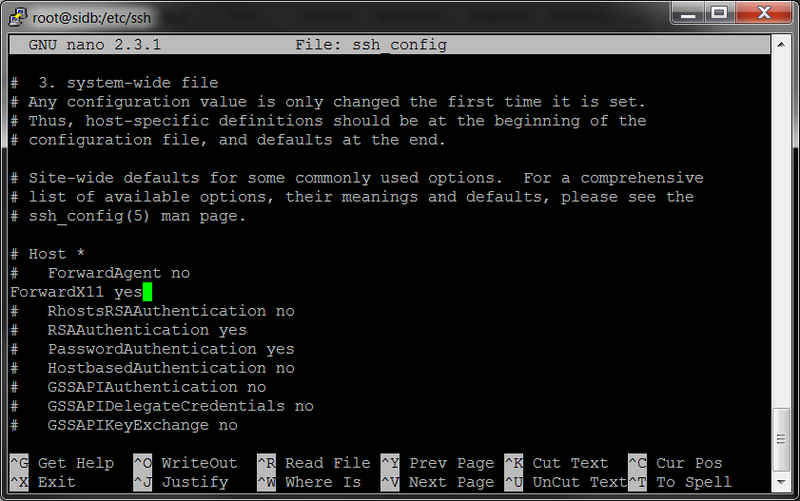 Navigate to the /etc/ssh/ folder. 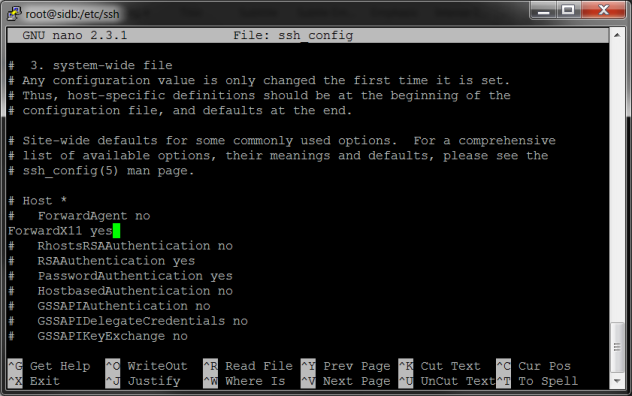 Edit the ssh_config and set “ForwardX11 yes” (or uncomment). 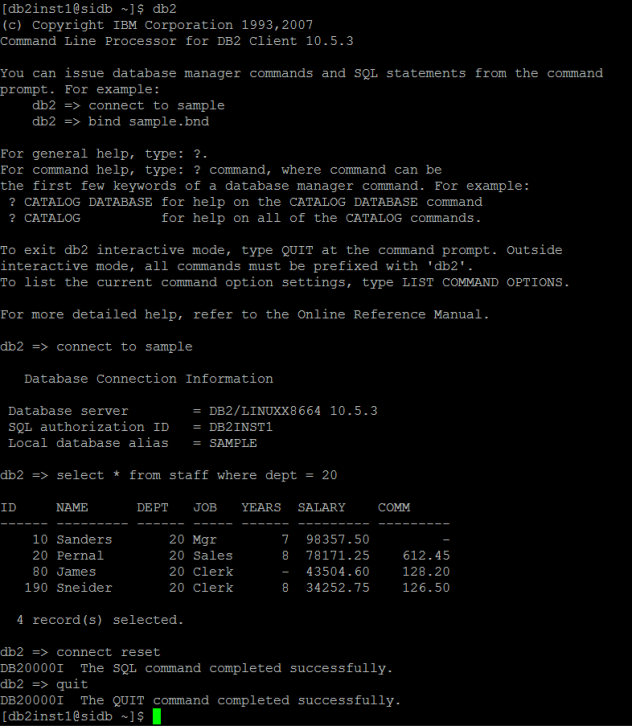 As mentioned I have chosen to use DB2, and more specifically IBM DB2 Workgroup Edition 10.5 for Linux. Upload the Installation file to the Server and Extract the file. When the Installation files are Extracted, I am almost ready to start the Install. But as before mentioned the DB2 Install uses a Graphical Wizard, and if not already set, the DISPLAY Environment Variable needs to be set to the IP address of the Host Machine where the VMWare is running. When that is done, I start the DB2 Installation by running db2setup. To test that the Database Server is working as planned, I start by installing the included SAMPLE database. After installing the SAMPLE database, I run a query on the SAMPLE Database to test it. When this test is done successfully, I am ready to continue preparing the Database for the installation of Sterling B2B Integrator. The Sterling B2B Integrator needs a Database for most of what it’s doing. So for preparing for the SB2BI install, I create a new Database named SI52DB. After the new Database is created, I need to configure the Database based on the Installation Guidelines for Sterling B2B Integrator. Restart the database to be sure all configurations is effective. Since the later installation of Sterling B2B Integrator needs a SMTP Server to be able to communicate notifications, I use Postfix and Dovecot on the same server as the Database just for convenience. Postfix and Dovecot is the default on the CentOS Server. This is not needed if some other SMTP Server can be used. I will not cover the setup of a mail-server here, but a good “How-To” is found here.